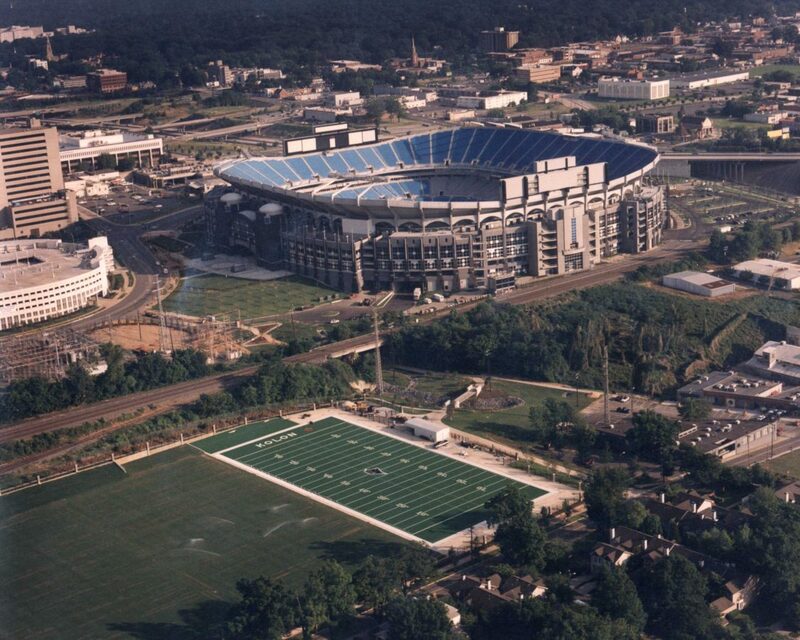 This project included the design of the three practice football fields for the Carolina Panthers NFL Stadium complex in uptown Charlotte. The design included grading, storm drainage and erosion control, as well as a special underdrain system and topsoil mix designed to National Football League standards for two natural turf fields and one artificial turf field. Stewart also performed weekly construction administration services for the entire stadium project.